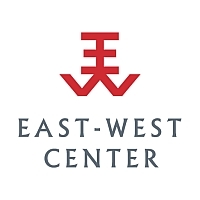 As of 2009, the China Seminar became a signature program of the Friends of the East-West Center under the guidance of Professor Daniel W.Y. Kwok, its founding convener over 37 years ago. The China Seminar provides an informal venue for China experts, such as scholars, diplomats, and journalists, to present talks on aspects of China that interest our members and the local community. These topics cover politics, economics, social issues, history, culture, food, arts, and many other subjects. The seminars are held the second Thursday of each month (except during the summer) at the Maple Garden Chinese Restaurant. The purpose of this half-day educational experience is to promote international education and introduce public school elementary school students, their teachers, and the broader community to the mission of the East-West Center. Sponsored by the Friends of the East West Center (FEWC), this interactive learning trip provide students and teachers with the opportunity to practice Dimension One of the College, Career, and Civic Life (C3) Framework for Social Studies State Standards, “Developing Questions,” as they engage in a number of hands on activities related to international education and the purpose of the East-West Center. 2017 International Education Week Photos. Each year individuals, families and institutions in the local community are given an opportunity to interact with East-West Center students, scholars, or professionals in government, civil society, business, and the media informally, including hosting an occasional dinner at home, inviting them to be a part of a holiday celebration, a cultural activity or a sports event. Center participants often ask to meet local people so they can experience another culture and way of life. Families say that the experience is always beneficial to them. Institutions report that their activities are enriched by this interaction. Requests to the Ohana Program may be made throughout the year by contacting the FEWC office by telephone or email. In partnership with the Center’s Alumni Office and the Education Program, the FEWC assist in connecting Center participants with mentors in the community. This is a mutually beneficial arrangement for all involved. The participants learn from the leaders in business, social services, non-profit and academic organizations in the local community and the mentoring individuals and institutions get valuable input from an international perspective. Mentors and Center participants can register by phone or email with the Alumni office at any time. The Board of Directors of the FEWC administers the Mary Morgan Hewett Fund which was established to recognize the achievements of women journalists in Asia, the Pacific and the United States. The program presents awards for lifetime achievement and excellence. It also provides opportunities for women journalists to travel and write about Asia, the Pacific or the United States. Recipients are brought to the Center to take part in one of the Jefferson Fellowships program.